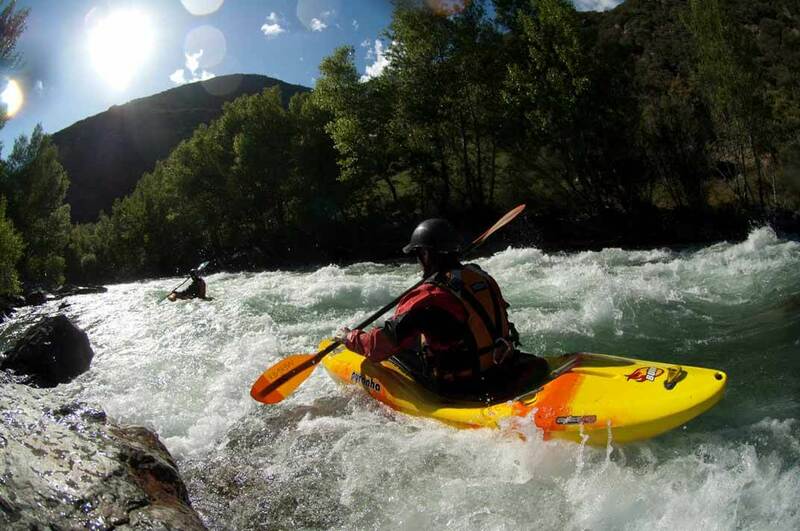 The activity will be placed in Llavorsí (Pallars Sobirà) and will be consisting in a 6 hours course for a weekend or for a couple of days during the week, in Noguera Pallaresa river, rated amongst the best rafting rivers in Europe. 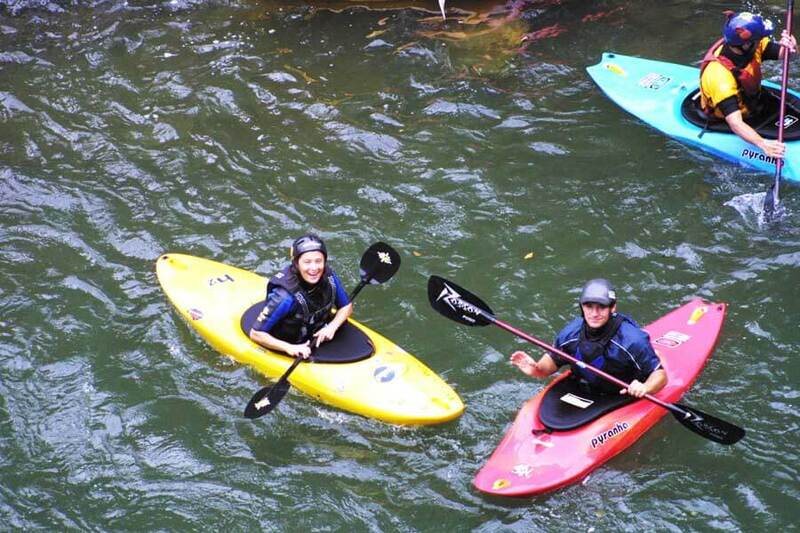 White water kayaking covers a huge range of different disciplines including exploring inland waterways, surfing breaking waves, negotiating white water, sprints, and performing acrobatics like Rodeo style. This clinics session course can be adapted to all levels and skills. We can offer the kayak clinics for beginners ready to discover the kayaking intro as a perfect taster. 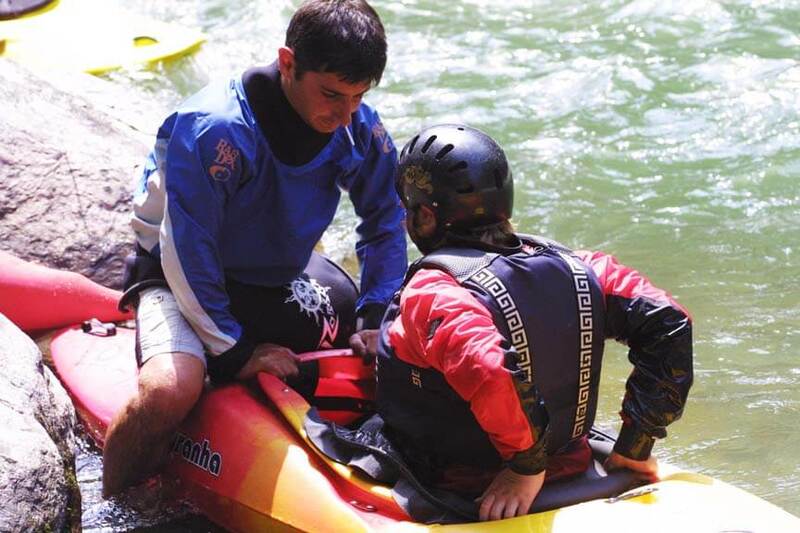 Or for people with some previous experience in white water kayaking and want to refresh their skills. Or simply the one with experience too, but wants to be with a local river guide descending the best rapids for a couple of days. All this happens in PaddleinSpain Centre Group – located(2km before to arrive to Llavorsí). Catalan Pyrenees. You will receive your equipment, getting change in our facilities and the staff will transfer you to the beginning point to the descend. 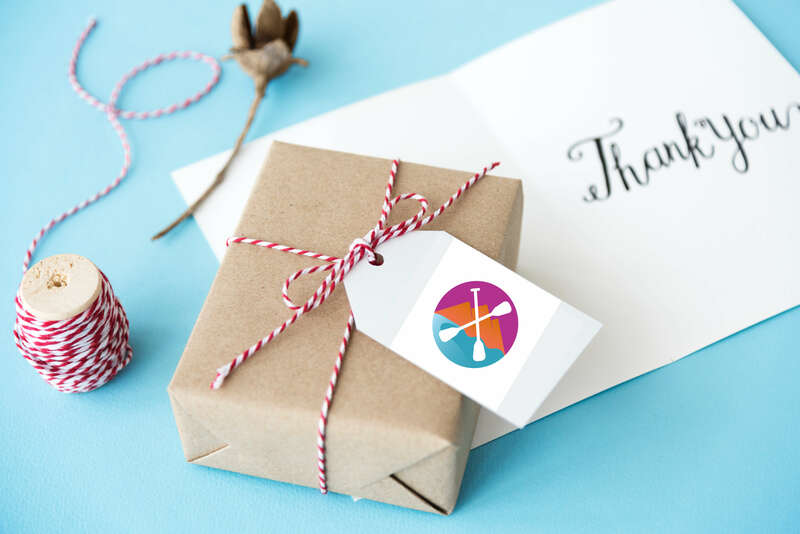 You will meet your qualified instructor, the one will be acompaning you all the time in tour and give you a briefing on safety and paddleing techniques. Afterwards that will be the moment to brave the Noguera Pallaresa rapids. At the end of each session the company transport service will pick you up there and bring you back to the facilities.